Dentures are detachable frames that replace missing teeth. They help restore your smile and improve your looks and oral health. They are attached to a pink or gum-colored base with a metal clasp that fits in your mouth, so you can speak and eat just like you would with your natural teeth. A conventional denture is a complete removable denture. It is molded and placed in your mouth after the remaining teeth are removed and the tissues have healed completely; which may take up to a few months. An immediate denture is a removable denture that is placed on the same day that the remaining teeth are extracted. The dentist takes measurements of the jaw and makes models during an initial visit. The denture is placed in your mouth without waiting for the extracted teeth to heal. This may require relining or remaking the denture when the jaw has fully healed. An overdenture covers and lays on one or more remaining natural teeth, the natural teeth roots, and/or implants. It is also known by other names like overlay denture, telescoping denture, hybrid prosthesis or tooth supported denture. 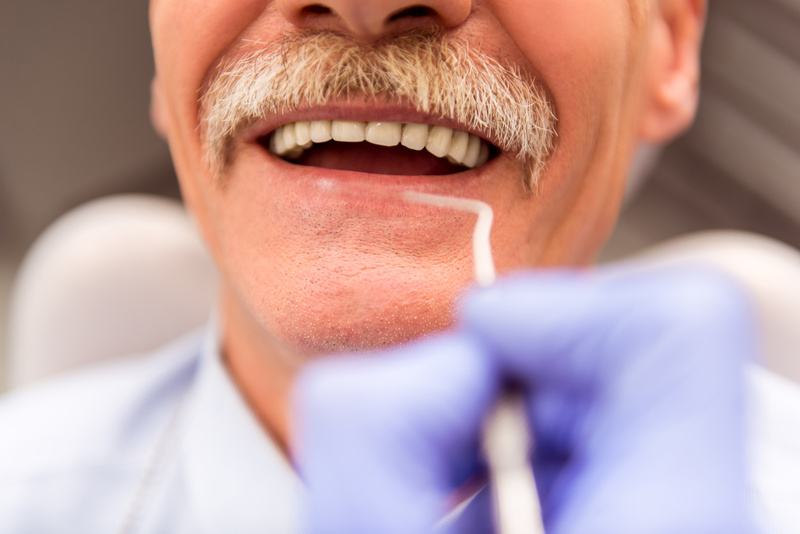 It is essential to observe and practice good oral hygiene regardless if you wear complete or partial dentures. Brushing your gums, tongue and the roof of your mouth is necessary before inserting the denture. This will stimulate circulation in the tissues and will help to remove plaque. You need to brush your denture every day to remove food particles and plaque, and to prevent it from staining. Wash the denture before brushing to remove any loose food. Use a soft-bristled toothbrush and a gentle cleanser to brush all the denture surfaces. Brush your mouth thoroughly, including the gums, roof of the mouth, tongue, and cheeks to remove any plaque. This will reduce bad breath and any risk of oral irritation. Soak the denture in water to prevent warping and secure in a safe place if you are not wearing them. Adhesives may be needed occasionally by denture wearers. These are available in several forms: powders, creams, liquids, pads/wafers and strips. Make sure to read the instructions before using any of these products and follow them precisely as directed. Choose adhesives that have the ADA Seal of Acceptance, as these have been tested and evaluated for effectiveness and safety. You can also ask your dentist for advice on what cleansers and adhesives to use. Consult a Hilliard dentist at Voyles Family Dental if you have any questions about dentures. We will give a thorough examination of your mouth to evaluate the appropriate denture you might need.